Pre-workout formula with Beta-alanine, L-citrulline and Arginine. What is G2T GO2TRAIN XT? G2T GO2TRAIN XT by Starlabs is a nutritional supplement made from amino acids, beta-Alanine, L-Citrulline, Creatine and caffeine with sweeteners. What are the properties of G2T GO2TRAIN XT? It is a pre-workout formula made especially to be consumed before performing physical exercise. Citrulline is an amino acid that is commonly found in watermelon. 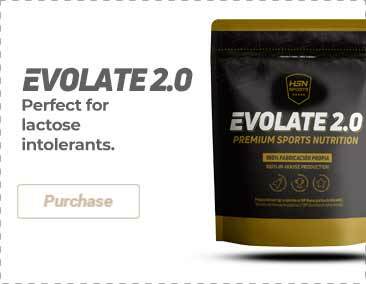 This supplement is aimed at those active people and athletes that want to improve their sport objectives. 1.Saunders B, DE Salles Painelli V, DE Oliveira LF, DA Eira Silva V, DA Silva RP, Riani L, Franchi M, Gonçalves LS, Harris RC, Roschel H, Artioli GG, Sale C, Gualano B. Twenty-four Weeks of ß-Alanine Supplementation on Carnosine Content, Related Genes, and Exercise. Med Sci Sports Exerc. 2017 May;49(5):896-906. doi: 10.1249/MSS.0000000000001173. 3. Kiyici F, Eroglu H, Kishali NF, Burmaoglu G. The Effect of Citrulline/Malate on Blood Lactate Levels in Intensive Exercise. Biochem Genet. 2017 Jun 29. doi: 10.1007/s10528-017-9807-8. Beta-alanine, L-Citrulline, Creatine Nitrate, L-Arginine AKG (alpha-keto-glutarate), acidity corrector (E330 citric acid), N-Acetyl-Tyrosine, vitamins [Nicotinamide (Niacin)] L-ascorbic acid (Vitamin C), pyridoxine hydrochloride (Vitamin B6), methylcobalamin (Vitamin B12), flavouring, choline bitartrate, D-glucuronolactone, colouring (E162 beetroot red), anhydrous caffeine , anti-caking agent (E551 silicon dioxide, tricalcium phosphate , E552 calcium silicate), sweeteners (E955 sucralose, E950 acesulfame-K), acidity corrector (potassium bicarbonate), sodium chloride, magnesium oxide, acidity corrector (dipotassium phosphate), teacrine, Kemfe. Mix one dispenser of product (12,4g) with 100-150ml of water and take 15-20 minutes before performing physical activity preferably on an empty stomach. The consumption of this product is contraindicated for people with physical or psychical problems, those who take some type of medication, those under the age of 18, pregnant or lactating women and those who are under medical supervision. This product contains active ingredients that are capable of modifying the absorption or effect of medicines, consult your doctor before taking it. Nutritional supplements should not be used to replace a balanced diet. Do not exceed the stated recommended daily dose. Once opened, store in a cool (under 25ºC), dry and dark place. Keep out of reach of the smallest children. Not recommended for children nor pregnant or lactating women. It contains caffeine (292mg).